Study the rich marine biology of the Bahamas, teach in Shanghai, experience the vibrant wildlife of Costa Rica, boost your theater repertoire with a unique experience in Prague, immerse yourself in service in the DR, change your perception of Africa in Namibia , learn about education in beautiful Amsterdam, or learn about the history of Vietnam while exploring gorgeous landscapes and cities. How can you pick just one? Applications open in July for programs with a November deadline and in early November for programs with a February Deadline. Eligibility: To apply for any study abroad or field study program, Holt School students must be currently enrolled in a degree program, be matriculated through the initial admission review process (i.e. completed two semesters at Holt), in good academic and college standing (grade point average of 3.0 or above preferred), and must have a good record of personal responsibility (e.g. judicial record). Credit for Field Studies: Holt undergraduate and graduate students must coordinate with advisors in Holt to confirm credit approval and acceptance. Graduate students may need to make special arrangements if the field study is only being offered for undergraduate credit. Costs for CLA Field Study: Holt undergraduate and graduate students participating on CLA field studies pay the same price as CLA students, and are eligible for grant support through International Programs and Hamilton Holt. Costs for Holt Graduate Field Study: Holt field studies are typically connected to an on-campus course. The cost of a Holt field study is standard Holt tuition for the relevant number of credits plus a program fee to cover the trip costs. This field course will provide students with knowledge of the natural world, particularly the Bahamian marine ecosystem. They will then apply methods of scientific inquiry to the study of the marine flora and fauna. This program includes travel to locations that may not have ready access to health services. Please contact IP for more information. Shanghai is one of the youngest and at the same time the biggest and most developed city in China with a population of over 24 million. As a global financial center and transport hub, Shanghai becomes the most shining “Oriental Pearl” on the crown of China. The other city in China that is called as the “pearl” under the “Roof of the World” is Tibet. Steeped in mysterious religious culture and laced with incredible stunning scenery, Tibet is one of the most inaccessible and beautiful places in China and even on the planet. In this field study, students will first intern in The Mei Yuan (梅园) Elementary, a public school in Shanghai, for three days. Shanghai has one of most highly regarded schooling system in China with over two million students in K-12 schools, and English is one of the core subjects required by the national curriculum from the first grade. Then students will go to Tibet to experience the highest royal palace, monastery, school, freshwater lake and mountain in the world. From the public school teaching practicum in the most internationalized city of Shanghai to the base camp of the Mount Everest in Tibet, Rollins students will experience two very different micro-cultures in China for a more multidimensional and enriched understanding of the country. Costa Rica has been successful in achieving economic growth and human development, even as the country has preserved and restored much of its environment. By contrast, much of Central America has experienced widespread deforestation, rapid population growth and considerable instability. In combination with several environmental factors, this has led to depressed living standards throughout the region. We devote considerable attention to understanding these very different outcomes and consider appropriate models of sustainable development for the region. The field study emphasizes the role of conservation of biological resources as a key component of sustainability. Students will have the opportunity to explore some of the most fascinating places in Costa Rica: La Selva Biological Station, Tirimbina Biological Reserve, Maquenque National Wildlife Refuge, Savegre Biosphere Reserve, Poas Volcano National Park, and coffee, cacao and banana plantations. The Prague Quadrennial is the pre-eminent performance design exhibition in the world. The PQ, held every 4 years in the Czech Republic, was created in 1967 as an attempt to bridge the divide created by the Cold War and to bring together designers, directors, and students, as well as the general public, for seminars, performances, and workshops, which create an unprecedented opportunity for cross-cultural exchange of ideas. At the center of the 2 week PQ is a ten-day intensive student-focused event called Scenofest, which engages and immerses students in an interdisciplinary exploration of performance design in context of contemporary trends in the theatre, as well as other art and cultural disciplines – creating a dialogue between visual arts and theatre. The PQ is an exhibition that encompasses performances, workshops, lectures, discussions, and collaborative presentations in a variety of design disciplines and genres including costume, stage, light, sound design, and theatre architecture for dance, opera, drama, site-specific, multi-media performances and performance art. Students will stay near the historic Old Town city center, participate in or attend at least 2 events per day, and will compile a journal of reviews and critiques for daily discussion and synthesis, as well as a final reflection and summary paper. Course Requirements: Attendance at pre-travel meetings, participation in all on-site activities, readings, submit a written or video journal review/critique of events, daily mandatory class meetings and final reflection paper. Did you know that dirty water causes 4 billion cases of illness and kills about 2 million people a year? And of those who die, approximately 90% are children under 5? It’s a shocking statistic, but it’s also a daily reality for many people across the world. Through this immersive, service field-study, you can learn more about this pressing public health crisis AND be a part of the solution. Coupled with a Maymester course, this experience teaches students about water issues and water quality testing in rural communities in the DR - where Dr. Bernal has implemented and leads a 20-year project to reduce the incidence of water related diseases. Students learn, firsthand, how people are addressing the problem at the household level, how to test water to make sure that it is safe for consumption, and how to administer health surveys. If you’re ready and excited to a) better understand and take part in water-related, public health work abroad b) put into practice what you’re learning in the classroom, in real-time and meaningful ways, and c) immerse yourself in the culture and learn alongside the people of the Dominican Republic, then this community engagement focused field study is for you! For a more complete overview on this field study you can watch videos from #WaSHDR2016 or #WaSHDR2015, and/or read this Rollins 360 article. Course Requirements: Attendance at all course meetings, participation in all on-site activities, readings, journal and discussions, and fieldwork on-site. Namibia, the last colony under the Treaty of Versailles to have received independence – in 1990. Namibia, home to the oldest desert, the last remaining nomadic African tribe, and the world’s tallest sand dunes. Namibia, the country in Africa with the most significant German-speaking population. Namibia, home to the largest deposits of marine diamonds in the world. Nambia, a country which has chosen to place almost half of its territory under conservation management. This field study will provide you the opportunity to see both cities and wild landscapes, both fascinating communities and magnificent wildlife (cheetahs, dolphins and Cape fur seals, anyone?). Namibia – timeless Africa meets a fledgling nation treading a unique path into the twenty-first century. Come with us to Amsterdam, Netherlands, to learn about sociocultural issues related to education. We will visit community organizations that work with immigrants and ethnic minorities, and talk with Dutch college students. You will spend 5 days helping elementary students in two schools to develop a Photo Documentary project, in which they represent themselves and their community. And you’ll experience the powerful culture and history of the Netherlands by visiting the Anne Frank House, Anne Frank’s actual school, the Van Gogh Museum and Rijksmuseum, and small Dutch canal towns. Apply through the Office of International Programs at Rollins. Tour Vietnam and learn more about the history and culture of this fascinating place! Visit many of the nation’s 54 ethnic minorities, traveling to their homes by train, boat, and on foot. Explore the bustling business center of Ho Chi Minh City and the elegant capital of Hanoi. This trip will focus on the history of Vietnam, including the American involvement in the country, and how that history has shaped the culture and economy of the modern nation. 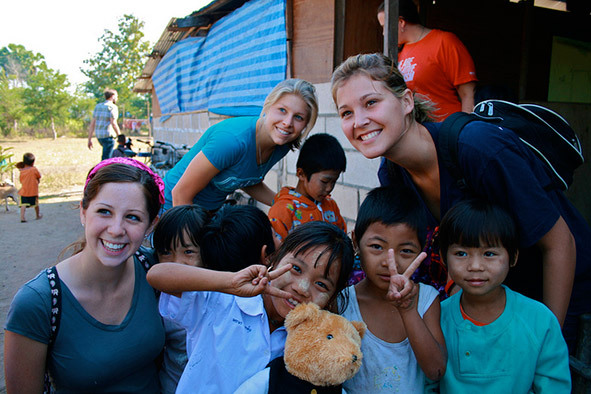 Students will travel up the Mekong Delta and through Ha Long Bay by boat, venture into the underground villages of the Viet Cong, visit the imperial city of Hue, and hike through the Tonkinese Alps to communities of the Hmong and Red Dao. This program is only for students in the Masters in Public Health program. During the Global Health Field Study in Geneva, students will work with the World Health Organization (WHO) which is a specialized agency of the United Nations that is concerned with international public health. Students will interact with representatives from worldwide known organizations, such as: the International Red Cross and the United Nations High Commissioner for Refugees. Students will also participate in a on-site excurison to the city of Montreux, located near the Lake Geneva and the foot of the Alps. This program is only for students in the Masters of Liberal Studies program. After five pre-meetings to provide academic background and trip orientation, students will visit Havana and its important cultural, historical and colonial sites, particularly those related to its European heritage. Students will participate in academic conferences focusing on political economy, music, dance, art, urban planning, educational models, among others, and participate in numerous activities with Cubans. Outside of Havana, we will visit the eco-tourism community of Las Terrazas, the national park at Topes de Collante, and the UNESCO cities of Trinidad and Cienfuegos. We will participate in community service activities with various educational institutions in La Havana, including an International School and a boarding school for the blind. Upon return we will have one more classroom session as follow-up and to guide the student in their required final project. Itinerary highlights include: Old Havana, the University of Havana, a visit to an urban organic agriculture cooperative, visits to schools, health clinics, and local markets.